Revival always begins with prayer. In order to have revival, we must pray for individuals to get their hearts right with the Lord. If they are saved, then we pray they will live righteously. If they are lost, then we must pray for their salvation. America cannot have revival, if Christians continue to live as hypocrites. If we want a Spiritual Awakening, then Christians need to be revived first. When the church starts to look like the church again, the world will take notice. Let’s take a look at the next part of Hosea. We as Christians need to be more benevolent to the poor and to those who are suffering. The churches in America have relinquished this responsibility over to the government. We must show mercy to those who are living in sin, feed the poor and take care of those in need if we are to see revival. Fallow ground is hard farmland, which has not been plowed in a long time. If you have experienced drought in your area, you know what type of soil I am talking about. When you try to put a shovel into this soil, you must exert a lot of strength. You might be successful, but you might not be. What happens when you try to sow seed on top of this type of soil? Nothing! Most likely rain will wash this seed away. I would like to compare this hard, fallow ground to the hard, calloused hearts of many Americans. When we preach to those who have hardened hearts, we sow seeds to no avail. These seeds rarely take root and people become discouraged. What should be done about these hardened hearts? In order to have revival, we must seek the Lord in prayer. Many people do not understand what the word seek means, however. When we pray, we usually tell God how to do His job. When we seek the Lord, we ask Him questions and then listen for a response. Our praying cannot be one sided. Start asking questions when you pray and expect an answer. If you have unconfessed sin in your life, however, you cannot expect any type of response from the Lord. Ask the Lord what you can do to bring about revival to your area. Ask Him how to do this? When we are seeking the Lord in prayer, we must also pray for the hardened hearts of both Christians and the lost. The Holy Spirit will soften the hearts of those we pray for. But we must also remember that evangelism and prayer go hand in hand. We must not only pray for the lost, but we also have to witness to them. We are the hands and feet of God, so we must put action to our prayers. People can’t be saved by prayer alone, but they must hear the gospel message. Is there a specific way we should evangelize the lost in order to see results? “Wherefore the law was our schoolmaster to bring us unto Christ, that we might be justified by faith” Galatians 3:24 (KJV). 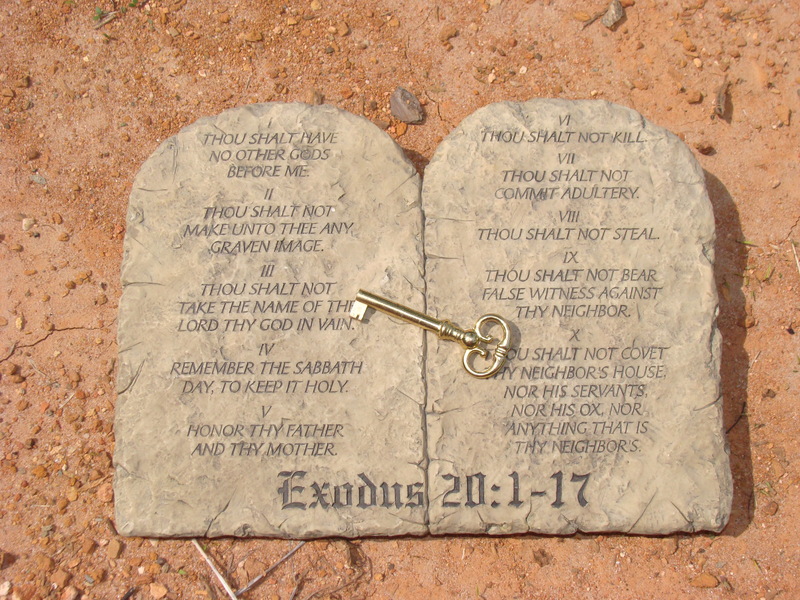 The preachers of revival used the 10 commandments when they preached to bring about conviction of sin. Once people were under conviction, they presented the gospel message. When we present the gospel to hardened, fallow ground hearts, we don’t see many results. This fallow ground is broken up by much prayer for the lost and the preaching of the law. When we see a healthy dose of these combined keys for revival, then we will see revival in America. We have much praying going on now for revival, but we need revival preaching to have revival. Pray for the Lord of the Harvest to send laborers to the harvest. Glad you like them. Thank you for your inspiration. I hope you will pray for revival and spiritual awakening for our nation.